As with any planning cycle, in the beginning of the year there are recommended top business trends to watch and how they will impact the coming year. At mid-year, we wanted to go back and understand the continuing influence of these trends. 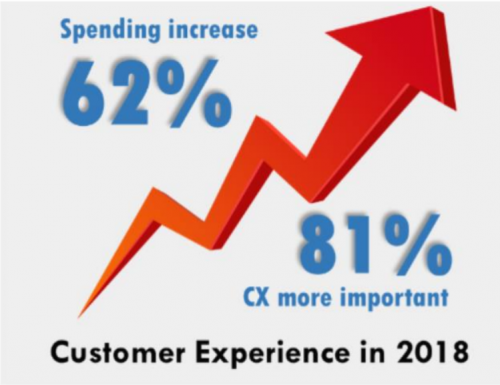 The Temkin Group’s report on Customer Experience Expectations and Plans for 2018 (https://temkingroup.com/product/customer-experience-expectations-plans-2018/) finds that 62% of companies surveyed expect to spend more on CX in 2018 than they did in 2017 and that 81% of companies expect CX to be more important in 2018 than it was in 2017 as companies strive to retain existing customers and compete for new ones. Robert Cowie was an early adopter and champion at Sony in the use of the Net Promoter System resulting in Sony VAIO being recognized by Laptop Magazine for the Best Tech Support in 2012 and 2013 and placing 5th in MSN Money’s Customer Service Hall of Fame in 2012. Robert has over 30 years of experience in the consumer electronics and television broadcast industries leading transformational projects in Customer Experience and Brand Loyalty, Customer Service and Support, Continuing Process Improvement, and Cross-Cultural Team Building. Robert has been recognized for improving customer experience and product quality, reducing costs, enhancing productivity, project management, and building cross divisional relationships. He currently is a Customer Experience Leader for Customer Centered Strategies.